As the 33rd king of Tubo Kingdom in Tibet, Songtsen Gampo is considered to be a miracle man. 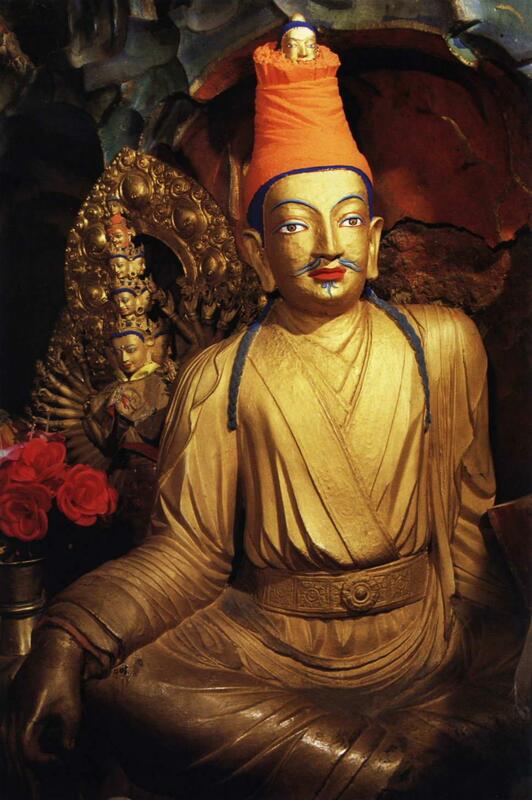 He is regarded as an avatar of Avalokiteshvara for his contribution to Tibet. 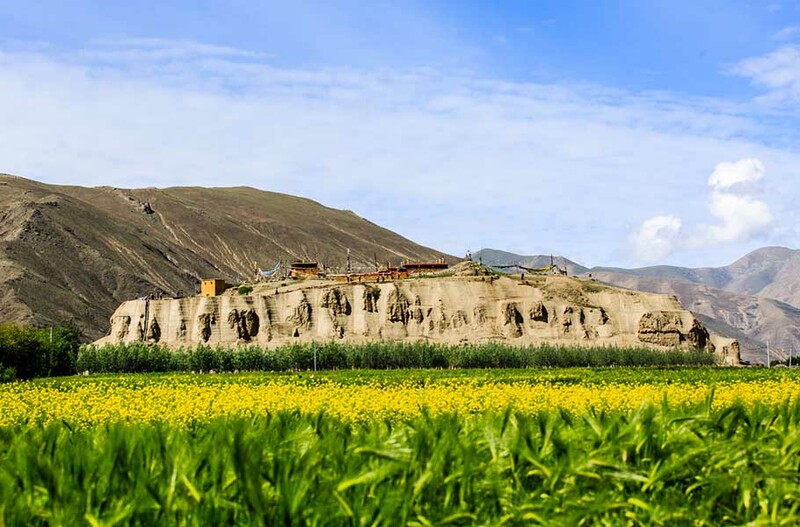 Legends continue to echo down the centuries for His impact on the connections between Tibet and central China. Songtsen Gampo has had a talent for leadership when he was a child. At the age of 13, he succeeds the king after the death of his father. 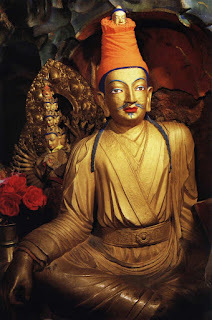 He founded a state called Tubo and moved the capital to RaSa (The former Tibet Lhasa city) after he suppressed the revolt in different parts of the region. Tibet began to unite together and finally became a powerful nation after Songtsen Gampo’s effort. At the very begin of Tubo, there was no written language and people keep records by ropes. To settle the problem, Songtsen Gampo sent a delegation including the minister Thonmi Sambhota and 16 nobles to India to study writing system. Then they create a new language and translate Buddhist scriptures into this new language. This would be very important to the formation of Tibetan Buddhism. construction, paper making was taken to Tubo by Princess Wencheng. It made a huge progress to the social development of Tubo. Songtsen Gampo died in 650 when he was only 34. There have been widely differing versions about his death. Someone thought Songtsen Gampo died from illness while the others thought he had been assassinated by a follower of Bon. A statue of him was placed beside Zhaoling Mausoleum which is the Mausoleum of the Emperor Tang Taizong. This is a way to memorialize his contribution to the friendship between Tang Dynasty and Tubo. Songtsen Gampo is considered to be the greatest king in the history of Tibet. His name will be forever remembered and eternally immortal. He unified Tubo dynasty and promote the growth of politics, economy, and culture in Tibet. He built friendly relations between Tubo and Tang Dynasty and promoted the communication and development of culture between Chinese and Tibetan. Today, Songtsen Gampo enjoy the same status to those of Tsongkhapa and Guru Rinpoche in many Tibetan temples. He is adored by most of Tibetans. Usually, you can find a smaller head placed over his head in the statue to Songtsen Gampo, this is a symbol of wisdom for him.